"Everybody's looking for that boy." 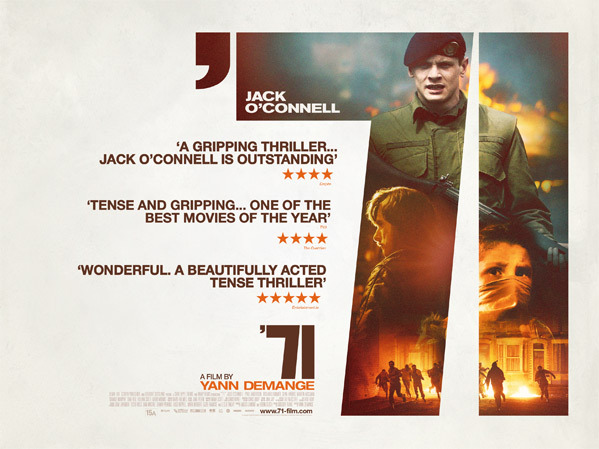 Roadside Attractions has unveiled a new trailer for Yann Demange's thriller '71, starring Jack O'Connell as a soldier lost in the streets of Belfast in 1971. If you don't know that name yet, you better get used to it - Jack O'Connell is quickly on the rise, and he deserves it because he's incredibly talented. O'Connell stars in Angelina Jolie's Unbroken opening this month, as well as Starred Up which we featured recently. He's also outstanding in this film, '71, a very intense action-thriller that follows the 24 hours he's stuck in Belfast during the The Troubles. They've been slow-playing this film so that it can build off the buzz of Unbroken and Starred Up before release, but it's actually worth seeing. Fire this up. 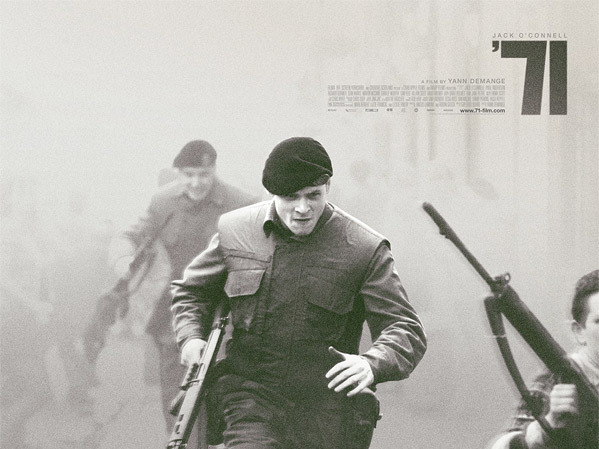 Yann Demange's film '71 takes place over a single night in the life of a young British soldier accidentally abandoned by his unit following a riot on the streets of Belfast in 1971. Unable to tell friend from foe, he must survive the night alone and find his way to safety. '71 is directed by Yann Demange, making his feature directing debut after work on TV shows like "Dead Set", "Criminal Justice" and "Top Boy". The screenplay was written by Gregory Burke. The film first premiered at the 2014 Berlinale Film Festival, and features a supporting cast including Sean Harris, Charlie Murphy, Paul Anderson, Sam Hazeldine, Killian Scott, David Wilmot and Richard Dormer. The film has played at many festivals since, and will also show at Sundance 2015. Roadside Attractions will release '71 in limited theaters starting on February 27th, 2015. Jeez this looks like a heavy film.